Who in their right mind would turn down a $3 billion purchase offer from Facebook? Well, that’s SnapChat for you. SnapChat’s founders apparently had their reasons, including allegedly entertaining other lucrative offers simultaneous with the Facebook offer, like that from Chinese e-commerce company Tencent Holdings. Then there’s the fact that SnapChat’s co-founder and CEO Evan Spiegel was born wealthy and was, thus, not tempted by the money Facebook was offering. He and his other fellow Stanford co-founders decided to play it out to see if they can earn more. What is SnapChat, anyway? My teenage daughter and her friends love this tool. It is their main tool for sharing ‘funny’ snaps. I didn’t understand what the value of SnapChat itself until I started using it myself. SnapChat is a private photo sharing service that allows you to send pictures to people and then disappears after a few seconds. Available for both iOS and Android devices, SnapChat is built around one central premise: anything shared on the messaging service self-destructs. It can either vanish after it is viewed by the recipient/s, or it disappears 24 hours after it has been posted in the SnapChat Stories feature. Videos range from 1-10 seconds and photos can be viewed for that same duration. Prior to sharing, users choose to add notes to clips with text and marker tools. After you send your clip out to friends, they’ll see it pop up in what essentially looks like an email inbox. 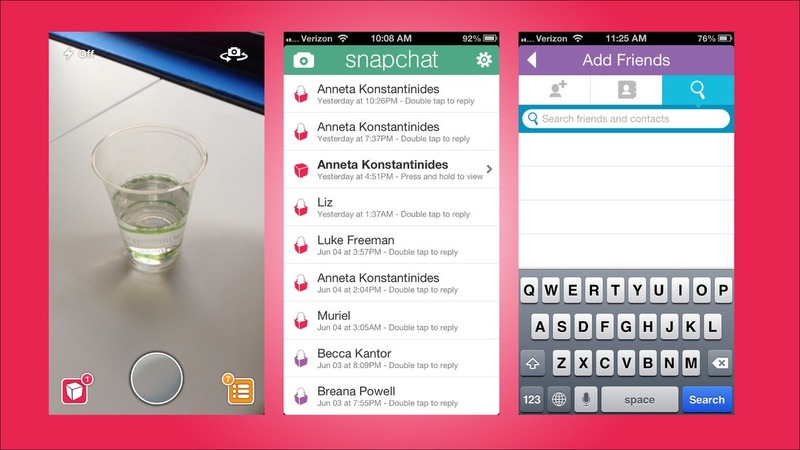 Open the Snapchat app on your mobile device and log in. Click “Sign up” if you don’t already have an account. Frame the picture that you want in the screen and then click the blue button in the middle to take the shot. Hold the button down for as long as you want it to appear on your friends’ screens. 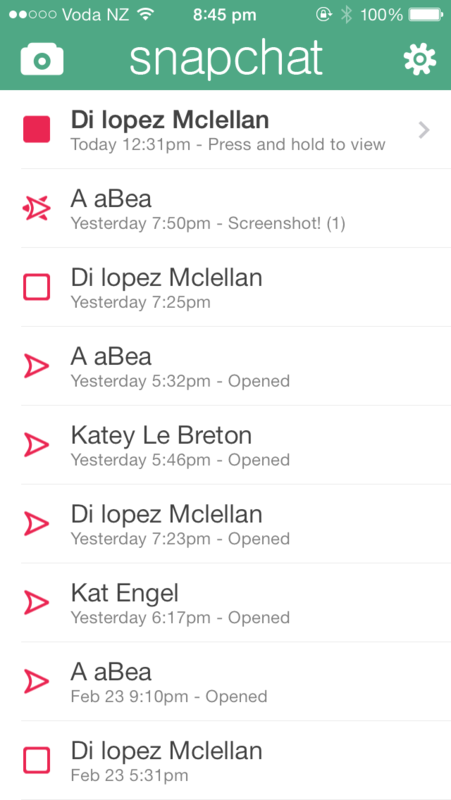 Click the paper plane in the bottom right, and then select friends you want to send the photo to. The social app’s main users are apparently teenagers, who like the self-destruct mechanism, leaving no breadcrumb trail for authoritative figures to follow. It’s all about ephemeral messaging and the desire to leave less digital tracks, as opposed to the social over-sharing of the generation that came before them. That is, those in their 20s, who are also now gravitating towards SnapChat. Let’s face it – they’re the age group that does heaps of stuff and have weird things to share and over-share. And of course, there are the tech geeks who were probably the first who tried out the service. Reason being, they’re tech geeks. Although SnapChat has not disclosed its number of users, Spiegel recently revealed that more than two thirds (70%) of the service app’s audience are female, with the number of photos shared on the app doubling to 400 million a day. Question for business owners and marketers is if the app would hold any possibilities to explore. Well, let’s take the example of 16 Handles, an American company that sells frozen yoghurt ice cream. 16 Handles encouraged customers to send a photo of themselves eating ice cream on SnapChat , and then the company would automatically send the customer a discount coupon. The customer would, however, have to wait to open the ‘snap’ while standing at the register in a 16 Handles-shop so they could see how large (or small) the discount was: anywhere from 15 to 100%. It’s certainly a fab way of engaging with customers via Snapchat. Have you tried out SnapChat yet? If your business targets teens and/or young adults, are you considering including SnapChat in your social media marketing strategy? Why or why not?